This battery can be used on both Powakaddy and Motocaddy trolleys. The all new Caddy Cell 22ah Lithium 36 Hole Golf Battery. 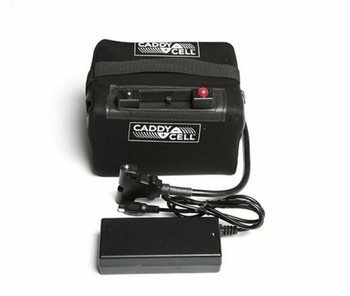 Purpose designed for use on any golf trolley that curreently uses a 12 volt lead acid battery, no changes or alterations needed. Comes complete with charger and battery bag.